Here's a list of 5 top cognitive enhancing supplements of 2019 and how they work. As much as we’d like to have sharp memory, healthy focus and concentration at all times, that’s not always possible. Our cognitive abilities depend on numerous factors including our lifestyle choices. Since our productivity at work or in school depends on the capacity to focus or memorize things, it’s important to be proactive and do certain things that improve our cognitive abilities. That’s why dietary supplements are quite popular today, they’re easy to use, available for every budget, and you can find them in retail stores as well as on the internet. Hundreds of these items can be found on the market, and it’s difficult for most people to choose the right one which can be stressful. Now, you can be completely stress-free as this article brings you useful info about the best Cognitive Enhancing Supplements in 2019. 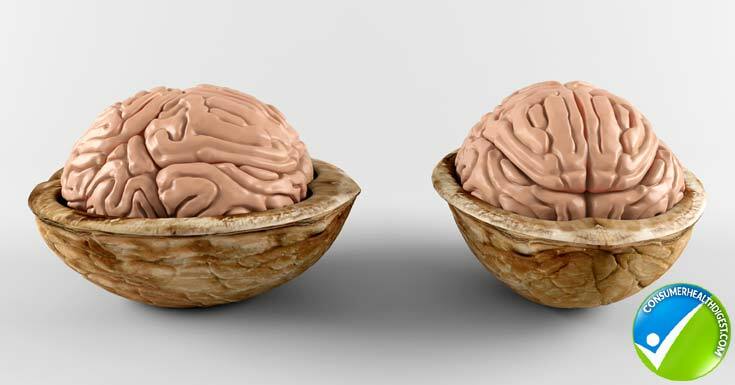 How Cognitive Enhancing* Supplements Work? What Goes Wrong with Cognitive Abilities? In this article we’ll be showing you the most important cognitive enhancing supplements on the market today. These supplements have many benefits that we’ll be sure to go over. After reading through this article, feel free to share and comment what supplements you will check out in the future. Let’s get started and figure out what supplements will work the best with your unique lifestyle and cognitive behavior! Nowadays, there is an endless brain enhancing drugs list available, which is why most people find it difficult to choose the one that is actually useful. Not all products are equal, and while some of them offer incredible benefits, others are ineffective. When buying brain boosters, you should always do a little research, evaluate a few products and narrow down the choice to the one that matches all criteria. Ideal supplement is the one formulated by a reliable manufacturer, has a money back guarantee, positive customer experiences, and available list of ingredients. Each supplement is unique, which is why you have to choose the supplement that works the best for you. Everyone is different when it comes to their needs and requirements, which is why you need to make sure, especially now more than ever that you’re prepared to face trial and error when testing supplements for you to take. The best bet that you can do for yourself is it make sure that you go over options with your trusted doctor before adding in a bunch of random supplements into your life. To help you out, we have evaluated a broad range of items and brought to you top rated five supplements that will work for you. They’re listed below. Provasil is an all-natural brain supplement that helps users regain their mental edge, boost memory, and intensify their focus. The reason why this supplement is the best rated is due to the fact it contains an abundance of ingredients whose benefits are well-documented. Besides choline, bacopa, ginkgo, the formula also contains vitamins C and B12. The product comes with a money-back guarantee, special offers, and affordable price. This is overall a very straightforward supplement that is very popular with most people. 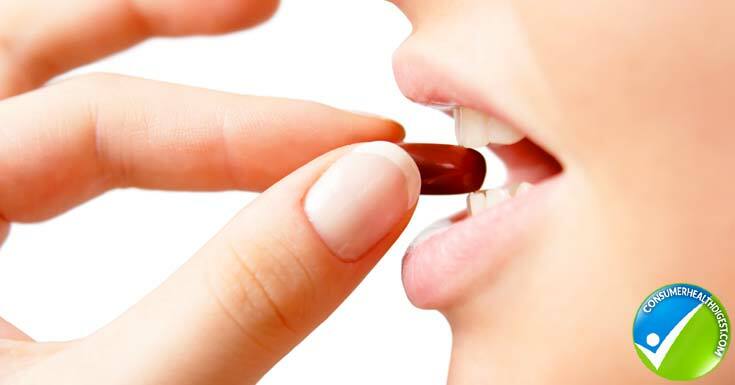 While even though this supplement might work in a positive way for most people, you should always introduce one supplement at a time just in case there is a bad reaction in your body and you’ll be able to instantly tell what it is based on your changes. This product has been known to sometimes cause negative effects even though this is usually rare. Provasil is the first option you should go over with your doctor. Get your bloodwork and tests done, after doing so your doctor will most likely be able to tell you what you can expect by taking this. 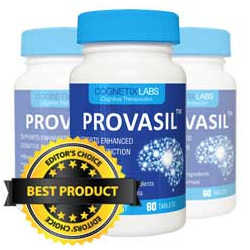 Read the full Provasil review here. Do you think that you’ll choose this supplement to introduce into your lifestyle? Or will you be opting for another option below? 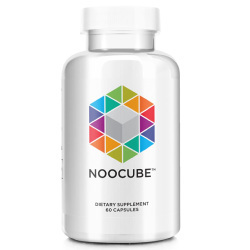 NooCube is a nootropic formula, formulated to enhance cognitive brain function. It’s a nutritional supplement produced from the use of natural ingredients, which function well in boosting energy levels, thus improving focus and alertness on your daily routines. This supplement enhances hormonal balance, and perform well in reducing long-term and short-term memory loss. It increases learning, concentrations, and motivation. It’s a fast acting supplement, which gives rapid outcomes without causing adverse health outcomes. This formula is formulated by ERGO Group Limited. A 60 capsules bottle is sold at a price is sold at a price of $39.99, and it has free domestic delivery and 60 days money back guarantee. This product aims to help you focus, which means it can be great if you regularly have problems focusing on you work when in the office, or even if you have a hard time concentrating at home. You’ll often find that when you take this supplement you might not need all that coffee because you’ll have all the energy you need right from this small capsule. Unlike other brands this is one of the most energy efficient supplements you can get. It works very fast so there won’t be a long wait time before you start to feel focused and full of energy. These supplements are ideal for a full time worker in any field. Read full NooCube review here. 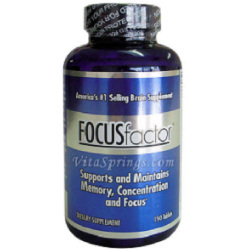 Focus Factor is a dietary supplement formulated to improve brain functioning. Benefits associated with regular intake of this product include improved concentration, memory, and focus. Ingredients found in its formula include Omega 3 fatty acids, vitamins, minerals, choline, vinpocetine, and others. Since the product is available on different websites, some of them have free trial options thus giving you the opportunity to test Focus Factor’s efficacy before you order your first one-month supply. Have you ever wanted to remember everything without having to constantly write things down. This is the product for you! Similar to the product above, this supplement will provide you with ample amounts of energy that will help you really push yourself in any way you can. This supplement provides you with fantastic energy and in many cases you can try a trial to make sure if this product is the one for you! We wholeheartedly believe that more brands should offer a trial option for new supplements, it would bring in a ton of new customers and it would showcase that the brand has a ton of faith in what they put out on the market. If individuals were able to test drive a supplement, they would know exactly if it works for them or not. Read full Focus Factor review here. 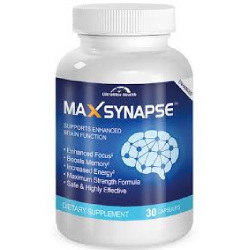 Here’s yet another brain boosting supplement that you should consider; Max Synapse works to restore neurons in the brain by providing necessary nutrients required by brain cells. According to its manufacturer, UltraMax Health, Max Synapse is perfectly safe for all users. In fact, a team of scientists tested the efficacy of all components to ensure effectiveness and safety. Max Synapse is a fantastic choice for those out there who are memory issues. While this supplement might give energy to some, that’s not it’s main purpose, so if you’re looking for something that will help rebuild your brain cells to influence many aspects of your life, this is the supplement for you. The main purpose of this supplement seems to be aimed towards the older generations who are dealing with age related problems such as memory loss and loss of depth of field. When approved by a doctor this supplement can really help prevent the quickness of age related problems that you might have normally experienced. But there is more great news, this product doesn’t just work for those who are aging, it can help anyone of all ages! This product is very diverse and when you take this supplement at a younger age, around your 20s or 30s, you’ll see right away that it does give you more focus and control over you body. Read full Max Synapse review here. 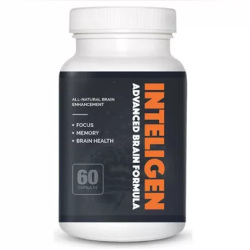 Intelligen is a nootropic brain supplement that boosts energy, memory recall, and focus. The supplement is ideal for students during the “exam season” as it improves memory in an entirely natural manner. Regular intake of Intelligen helps you retain the information you gathered, and it’s a healthier option if we consider the fact that most students consume high amounts of energy drinks when studying for exams. The patented technology is behind the formula of this supplement that works to strengthen brain’s neurotransmitters. This product is extremely popular with students in college because of how quickly this product works each day and for how long it lasts. When you take this supplement with doctor’s approval you’ll be boosting your thought process and you’ll naturally start to focus more and hold on to information, which is ideal if you have problems taking tests or quizzes. You’ll be able to remember information better and you won’t feel jittery either. This is a great alternative to drinks like Red Bull or coffee, because instead this is a natural chemical reaction. Do you feel like this would be the best option for you? Let us know why you would be the most interested in this option. Read the full Intelligen review here. Athletes take supplements to improve their performance, weight loss supplements help you shed extra pounds at a faster rate, there are also products aimed to improve sexual performance, and it comes as no surprise we’re witnessing the rise of supplements that enhance cognitive functioning. First, it’s important to bear in mind these products don’t automatically raise the IQ of a user. Their brain boosting abilities refer to enhancing thinking, focus, alertness, concentration, memory, energy, and mood. With the regular consumption, people notice they’re able to concentrate faster than they used to. Thus their productivity improves as well. Cognitive enhancing supplements work to help you process information faster as well. These products improve blood flow to the brain, thus enabling it to receive healthy nutrients it needs to function properly. Also, they stimulate different parts or functions within the brain for improved communication, efficiency, and function. You can’t just expect to introduce a supplement into your lifestyle and it just automatically work. You need to set the stage for yourself so you can always get the most out of any vitamin or mineral. Make sure you’re eating healthy and exercising regularly if you really want to see a difference in your life by taking a supplement. Cognitive abilities are defined as brain-based skills that we use to learn, memorize, carry out different tasks, and so on. Although our cognitive skills start to decline as we get older, many other factors play a significant role in weak memory, poor concentration, and problem-solving skills. For example, a study published in the Neuropsychiatric Disease and Treatment found that sleep deprivation has a tremendous impact on the brain and cognitive function. On the other hand, the study published in the International Journal of Gerontology discovered that factors such as smoking and mood play a role in cognitive function or decline as well. Most people take these products to boost brain power in a natural way that without side effects or questionable ingredients. They’re ideal for individuals with busy schedules and stressful lifestyle as added stress can impair their cognitive abilities. Yes, they do! It’s important to remember that everything will affect individuals differently. Everyone has a different state of their mental health and what they need to better their mental health will always be drastically different compared to another individual. Cognitive enhancing drugs do work in most cases and often times if one doesn’t work, there will be another brand or option out there on the market that you’ll be able to try to see if there is any difference. Generally people will go through a few different brands before they settle on something, this is completely normal! Cognitive enhancing supplements are a fantastic way to reach our full potential. Instead of drinking unhealthy amounts of caffeine to gain just an ounce of focus, this is a great change and healthier for you in most cases, especially when you discuss this change with your doctor. These supplements will affect everyone differently and there is one risk that make taking supplements a bit risky. This comes into play when individuals buy supplements online without any doctors involved and they begin taking them, especially when they were bought from sketchy company that doesn’t exactly have a well-known reputation. This can cause problems and should push for some kind of regulation to be put in place. Cognitive Enhancing Supplements are formulated to improve cognitive abilities work by enhancing blood flow to the brain and deliver much-needed nutrients. They aim to improve the overall health of the brain in an entirely natural manner. If you’re in a search for brain boosters, do a thorough research and get informed about different products before making a final decision. Overall, if you’re on the market for a supplement that will change your life, we’ve provided you with the researched information to make a choice. Just be sure to always check with your doctor before you introduce a new product to your body that you may not have ever heard of before. Keep yourself safe and go through this process correctly. Your health is the number one importance and should always be, so be careful when testing out supplements you’re interested in. Always test them for about a month and only one at a time so you really know which supplement is affecting you the most. Improving focus and brain cells, you’ll notice so much of a difference when using these supplements in your life. Are you ready to see how life changes with these benefits? Let us know what supplement you believe you want to try!